Not sure plot size is the best metric for determining the cost. It might not be that bad a metric if we keep detail level per square meter at a constant level. Sure, we can simplify skyscrapers by making them Brutalist designs with solid concrete walls everywhere, but why? Agreed- complexity should be factored in as much as volume. A small building done in a Baroque architecture can easily take as much time as modeling a huge Brutalist skyscraper. Eagerly awaiting the arrival of both game and opportunity to donate. Just commenting so I can check the "Notify me when new comments are posted" box, and to say that I'm super impressed by what I've seen so far. Wow had a service where your characters could be made into figurines, statues, and statuettes. Should the costume creator become available soon perhaps MwM could look into offering this as yet another way to make continued income. I wouldn't mind paying 100$ or even 200$+ for a statue depending on size. That's been talked about before, not just here but also for games like WOW and elsewhere. It's actually a nightmare to convert 3D character models from the game engine into a printable digital model. As a professional with a workflow established you could probably do two a day for simple characters ie spandex only. I could easily see a complex design taking days to clean up for printing. That's just for the digital model. Print time would be about the same for each character but you're looking at maybe 12 hours in print time. I'm assuming a laser/resin printer for best details Then all you have is a blank figure, you still have to clean it and paint it. Don't even think about printing the colors in plastic that's difficult for even the best printers. It's not impossible, that's not what I'm saying. I'm just saying that its far more labor intensive than Drag/drop -> Wait -> Figurine! Again, I know I'm raining on the parade. I just don't think it's as feasible as you guys want it to be, there's lots of fiddling when it comes to 3D printing. I'm sure converting 3D character models from a game engine into a 3D printable digital model is not trivial. But like everything else a company like MWM could "throttle" the production of something like this based on how much money they charged for the service. For example if they charged say something like $300, $400 or even $500 a figure it would naturally limit the number of people willing to order one. With production orders at a limited level like this it wouldn't really matter if it took 3-5 days to produce and/or paint each figure. Again no one's saying this would be easy. But 3D printing hardware/software is becoming more capable and cheaper pretty much every day. Maybe in another year or two the cost/time for production per figure would be reasonable enough to make a scenario like this for CoT more feasible. And with the amount of customization that seems like will be available, there are probably some people who would be willing/happy to shell out close to 500 for a nice sized figure of their iconic creation. Picture a figure the size of that BoTW Amiibo. I was about to mention that Star Trek Online was going to offer 3d-printed starships only to have their printing partner go belly-up, when Massively OP just posted that they have a new partner. Pretty sure 3d models have been suggested before. It's not that difficult to turn in game character assets into manifold 3d printable models, but it is time consuming. Something to consider with this, in all probability the model would not but in full color, it would be printed in a solid colored plastic or resin then would either require hand painting or being turned into a mold which could then be recreated in full color. The reason for this is full color printing is either very expensive or unfeasible depending on the model. I have some experience with 3d models and printing I will get in touch with the devs and see if they are interested in something like this for the KS. Yeah as Grimfox pointed out I wouldn't expect 3D printed character figures for CoT to be molded in perfect multi-colors. That kind of thing might be possible some years from now but that's clearly beyond the current printing technology (at least beyond doing it cheaply enough at any rate). First, I apologize, I replied before reading the entire thread and didn't notice that Grim had already covered everything I had said. Second, I have checked into some things and depending on the size of the model full color printing could be fairly easy and not as costly as I originally thought. A rough finish model approximately 6 (15cm) tall would cost $50 american and for a smooth finish version it would be less than $100 bucks. Sadly because of the volume nature of 3d printing pricing going to 12 inches would not be 200 buck but instead close to 400 bucks. Still 6 inches is a decent sized model. Because of printing limitation, going smaller would result in much poorer quality as many details would be lost. Here are a couple examples of quality full color prints from shapeways. These are digital representations, the actual models have a lighter tone to the colors (which can be offset just by using darker tones in the texture maps). I know shapeways has worked out deals for kickstarters in the past so depending on the size of the order it may even be cheaper. 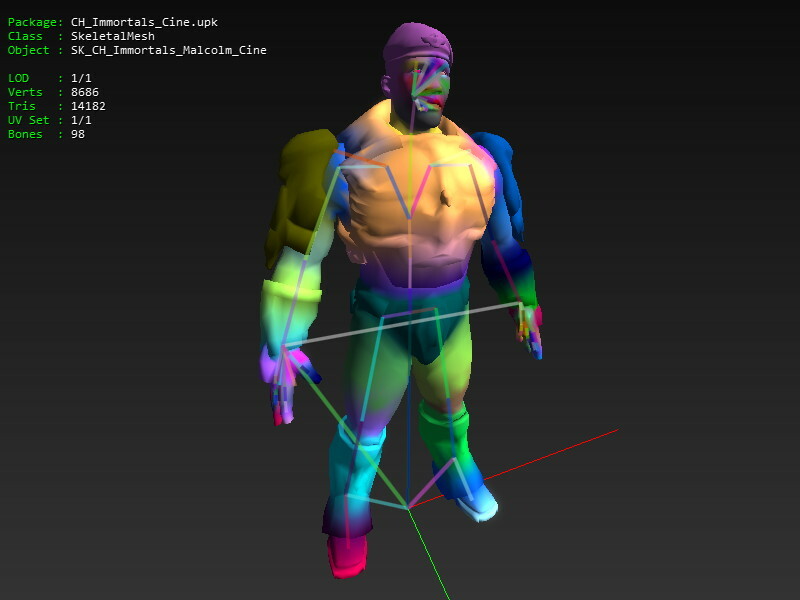 I will say one thing that wasn't covered, even if MWM decided to do 3d Models it is highly unlikely it will be custom creations using the avatar creator, it will most likely be reproductions of a selection of their signature heroes. If all anyone is looking for is a fairly decent rendition of a character they have in mind this is a place to start looking. They are not cheap (roughly 20 bucks for a2.8 - 3.5 cm model) but you can at least scratch that creative itch. Who knows, it may be possible that a deal could be worked out between them and MWM. Regardless, I have reached out to the devs and we can keep our fingers crossed. Thanks for the info and the effort to encourage MWM to consider it. Again I believe this thing would likely be a "seller's market" and MWM could easily charge more than even the amounts you mentioned (to throttle the orders submitted by interested players) and probably still get plenty of takers. Worse come to worse they could always lower the prices until they find what the "market will bear" so to speak. I understand how only making a few "non-customized" figures (as you say likely just the "signature heroes") would be far easier for MWM to accomplish and it's quite likely they would be able to sell a good number of those. But to be perfectly honest I personally would have little interest in buying figures that weren't of my own characters and again might even be willing to pay in the $400-500 range for 12 inch versions of my own characters. Like I said I understand that would not likely be trivial for MWM to accomplish, but frankly I can wait a few more years if that's what it would take to make something like that feasible. I was recently looking at Heroforge trying to determine if any of my CoH characters could be decently portrayed with their options. Unfortunately its a bit focused on fantasy where most of my characters were sci-fi oriented. Would love to have a CoT statuette option! I have sent pm's off to a couple devs back on the 20th just waiting for a response. I've been looking around. This may not be as convoluted a process as I thought. There is a program, which is unfortunately no longer in development that will "screen shot" the 3D geometry on screen, but only in DX9. You can then import that into your favorite $121.66/mo AutoCad software for clean up (delete all scenery and patch holes) then you can export that to a free software to convert it to a printable format (why AutoCad can't do that for 120/mo I don't know, that's a whole other rant) Then you can send it to shapeways for printing. I thought Shapeways would be pretty expensive but I checked their pricing for some *cough* work *cough* related *cough* stuff this week and it was much better than expected. It's still a huge time commitment for some poor dev and as such deserves a ludicrous cost and probably shouldn't be considered for the kickstarter because no one has a character model yet. Down the line? Maybe. As stated in the description of the model you linked that is a 3d scan of an actual human being posing in a booth at a museum. Not the ripped geometry from a PC game. I threw that unedited model at shapeways, they didn't like it. I'm going to try to get it to a workable state, but I've not messed with such a complex model before. It may be a few days until I can make it work. The use of any of the ripper programs suffer the same problems as 3d imaging. They can only map the surface of the model and cannot simulate the 'shortcuts' that fully textured models use to simulate depth. Additionally, the program that shapeways uses to create manifold models (basically think of it as air tight) has significant trouble with one sided flat planes that most in game clothing, hair and fur is made of. The end result is, even if you can eventually get a model to print after a lot of work, the model will be fairly featureless or blocky as my example shows. Here is another example to further illustrate my point. Admittedly this is a more simplistic in game model that relies heavily on texturing tricks to add depth but it was what I was talking about with my example. The hair and fur on the shoulders is made up of flat planes which cannot be printed and when run through the shapeways program result in some odd geometry. The belts, gun and jacket loose details and all the clothing just becomes flat. Unless the in game asset is an extremely detailed model then any of the ripper programs will not provide a decent 3d print. I don't believe the ripper program works like you say it does. It's not a laser scanner as you compared it too in your first post. It's literally pulling all of the geometry data, and much more, as they were able to generate out of engine screens which show color and textures, that currently resides in the GPU's memory. As I stated you have to strip away all the extra scenery you don't want, then, we agree again, that the model needs to be fixed for printing. Which is a lot of work, as was mentioned a couple times. So, all that and we are at the same conclusion, IF this is something that is going to exist, then it's something that is going to cost a lot. So much so that I'd think you might consider another option. For 500 bucks I could commission 5-6 pieces of "traditional" art that would be more dynamic than the monotone 3D print. 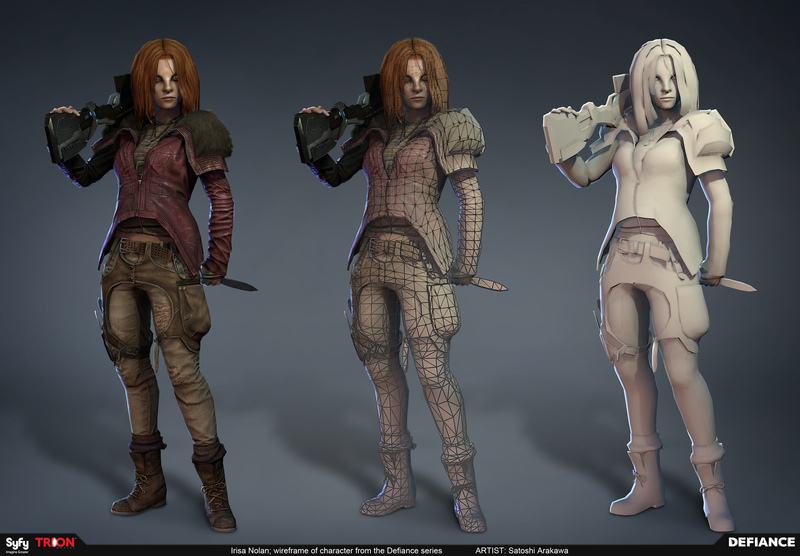 Heck, for 500 bucks you can find someone to model your character from scratch. I found a guy on the interwebs that'll do it for ~300USD (250EU). So, yeah, I think this is something that falls back into the "more effort than worth" category. Unless they can develop a tool that could do it all automagically, game assets to 3D print ready STL file. Which is more of a stretch goal and something they have said will not be in SCFC. That said. DT will buy anything if you can find it in the UE store. So, I dunno, build the mod for UE4 and DT will be the first customer assuming you don't charge more than 500 for it. Something something something if you build it, they will...I forget the rest. I think it's about a mouse trap. Ok, let me try one more time because I seem to not be explaining things well enough. The first example I gave was to show how a ripped model will likely look when 3d printed. The reason I used that example is because almost no one tries (much less succeeds) to 3dprint ripped models so it was the quickest example I could find to show the end result of the path you suggested. This is because in game models are not designed to be 3d printed in any way. In an effort to conserve computations the models used in games tend to use a whole bunch of tricks to make the asset 'look' more complex than it actually is. Many of these tricks come from textures, shading, one sided or flat planes and bmps. The model itself is largely smooth or shapeless. Ripper programs are great for taking game assets and using it in animations or machinima but nearly useless for 3d printing character models. Let me be clear, I am not saying the ripper programs scan anything, I am saying the models the ripper gets are not suitable for printing, even after 'fixing' them. Fixing the model would take longer than making one from the ground up. It's not just patching holes and removing extra scenery. You need to flip all back facing polygons then turn all those one sided planes into a 3 dimensional shape, take all those bmps and bake them in, remodel most of the model to include fine details (creases, buttons, strings, stitching, ect ect ect), make hair and fur from scratch, add then smooth the polygons, add bones so the model can be posed. After you do all that you now have to make sure everything follows the 3d printing rules as well. Rules like minimum and maximum size restrictions, space between model parts, polygon limits, special texture maps designed for color printing to prevent color bleeding and so on. Even after doing all this, the model will not look much better than my first example. Basically, it would take less time and effort to make a model from scratch with the intent to be 3d printed than it would to use one of the ripper programs to try and turn an in game asset into one capable of being 3d printed, and it would look better. Keep trying to get the guildwars character to 3d print and you will see what I mean. Now that the Chargen has been prepared and estimated for alpha release come mid 2018, is there any news forthcoming re the 2nd Kickstarter (2.0)? I am interested in participating and await information; I posted on the Chargen announcement page but my comment didn't get a reply. If you wanted to donate immediately, you can always sub to the Patreon at https://www.patreon.com/HiJinx , however, there has yet to be any more news on a second Kickstarter other than it's planned to happen. If there's rules over having a second kickstarter on the same product, they may need to wait so it can fund post-launch content. One of the devs has developed a card game in his spare time, the kickstarter could even be for that if directly linked to City of Titans. Or they could use one of the other crowd-sourcing sites. They could also set up a price tier of purchase a copy of the game for x, x+y gets beta access, x+yz alpha, etc. All from their website. This is what I'm hoping for. I want to donate as a way to pre-purchase the game with some cool perks. There is also the Ko-fi link at the bottom of the page. At the moment I don't believe this is linked to accounts but if you feel the need to give. It's not linked to accounts, sorry. I've seen several products/projects do more than one Kickstarter. I think the only restriction is if you add additional rewards to the same tiers, that the old backers have to be given the same additional perks, but don't quote me on that. You may be thinking of when a company funds a related product later. For example, it’s not unusual for a tabletop RPG publisher to fund a new RPG, then after it is successfully released they start a new project to fund an expansion book for the same RPG. Since it’s a different physical product it’s allowed to have a new Kickstarter even though it’s in the same line. For MWM to do something like that they’d need something like asking for funding in order to make their first expansion to CoT, or the first DLC. Which would seem like bad form if the game itself hasn’t been released yet. They could also try to fund a physical product like the “Frisbee of Titans” and pump extra money back into game development but (1) that seems deceptive and (2) they already have that kind of revenue with their online merchandise store. In any case I think an actual Kickstarter is not an option. But there are lots of other ways to have crowd-funding without KS. Another MMO that I pledged to (Ashes of Creation) had a successful project in KS but then later that year had a “summer special” where people pledged on the game creators’ web site to earn similar-but-different perks from what was on KS. It didn’t go well, probably because projects on KS are more visible than those on other sites, but MWM could try something similar and hope for better luck. Yeah, you might be right, Atama, but I'm pretty sure that I know of a card game that opened a second time around, but the first time might have been classed as a non-successful launch? Regardless, one definite solid way would just be to open founder's packs on their website, and have the packs offer similar rewards to kickstarter tiers. Or, just open Early Access on Steam. Lots of ways to get people to throw money at a product that has a baseline start. You can definitely create a new project for the same product if the first one fails. KS even offers advice on how to be more successful on a second try. Surprisingly, it doesn’t say you can’t relaunch a second project for the same product even if it’s successful. But it does say, “We don’t permit running multiple projects at the same time, or launching a second project before fulfilling your first one.” Since CoT isn’t released and most rewards have not been fulfilled yet, I don’t think MWM would be allowed to create another project there. Interestingly, there’s a brief discussion on Kickstarter Campus where a creator successfully funded a project and just about finished fulfilling rewards, but realized there’s not enough money to bring their product to retail. So they asked if anyone had successfully launched a second project for a successful Kickstarter and had it also be successful. The answers said there didn’t seem to be anything in the rules against doing this. One person suggested it might look bad to ask for more money so generally discouraged it. The other said that the first project wasn’t really successful if there wasn’t enough money after all was done so offered a way to make a second project palatable. So I take back what I said about a second KS being against the rules (though I think for now MWM can’t do it, yet) but I still think it’s just “not done”. KS works based on advertising raising interest and a second request for money doesn’t look good. At least on KS. I still think a non-KS effort is a good idea (and I’d put down more money for more rewards personally). One thing they could do to gain additional income is *when* they release their AB, they can already have the cash shop open so people can choose to purchase special costume items that will then be transferred into the game *when* it comes out either in beta or full release. I think selling in game items for a game that's not even out yet would be a bad move. Like the whole Ark having paid expansions before the game was officially launched. You aren't really selling them for the game per say, you are selling them for the Avatar builder, which is a stand alone app. It just so happens that you will also be able to use those outfits in the game. The idea for a "Frisbee of Titans" is one I'd go for in a heartbeat provided it also allowed for beta access and some kind of reasonable perk(s). Go, Frisbees. I still think the next step for funding should be pre-order the game. Then have different tiers of pre-orders to get different in game rewards. Say $40 gets you the game when it releases, 60 , list of things plus beta. 100, all the previous things plus more, 150, adds alpha access. Etc. Simple direct from this website, it can be used to further test the store front. The numbers listed here are just examples. MWM would have to choose numbers that make sense for them. I'm for sure looking to buy a pre-order. I'll take a look at the merchandise and see if there's anything I'd like but I hope that a pre-order would happen some time even before the alpha occurs. I'm not sure I read that correctly... Did you say we will be able to play the characters we make in the Chargen (Avatar builder) when the completed game comes out? It sounded like you said that... Is that for certain? I'm not the best at keeping up with all the forums so I apologize for the question if it has already been answered. I just hadn't heard that as a solid yes. If so AWESOME! I don’t see why not. A number of games (Champions Online for one) let you create a character’s appearance and save it for later upload when you want. I don’t see why CoT shouldn’t allow that. The only problem I can foresee is if something dramatic changes with character creation between the time that they release the avatar builder and the actual game. Let’s say a particular costume piece ends up having a bug and causes performance problems when rendered in the client. But in that case you’d probably just have that piece missing after you upload it into the game, and you could replace it with something else. That's the main point of releasing the chargen ahead of time so that you can design your characters in "peace" and then just load a save-file of them once you get access to the game (either beta, open beta, or live launch). Co has the capability of saving and loading costumes, and CoH got it after some time. We've already been told the Devs of CoT are hoping to provide for at least two different kinds of character creation save files. The first would be "costume files" that (obviously) would save off collections of costume item data that could be placed on a character body model. The other would be the (for lack of a better name) "slider files" which would save off all of the slider settings associated with a character body model. With those two types of files saved independently you can then take a costume from one character and effectively "give" it to another character without having to change any body model slider settings. Also you can save off specific customized body models for re-use without worrying about any associated costume data. All of this should be available once the character creator is released and long before the game itself is released. That's basically been the "plan" for years now. Also, most importantly, and this has been stated by devs, the chargen is not a different thing from the main game. It's just a very limited version of the game. So your character is already in the game, but figuratively stuck inside a locked room with no key. Once they unlock the rest of the game for use, you get to go out and play in it, with the character you've already created... or a new one, if you like. Who says you'll be in a locked room? You have no idea how ironic this is. Fine, I’ll be as patient as is humanly possible... nice catch btw, most don’t remember that one! Yeah, they fell into the annals of mythology. So it wasn't Robur le Conquérant you were alluding to in that other thread? Must be some other megalomaniac who tried to invade Russia, or something like that. You missed the essence of that statement just a tad. As a ploy to obliquely reference what we might have and titillate your audience, it was effective, though. Innacurate, but effective. According to their write-up the Paragon Chat project has managed to connect the original CoH client to a XMPP chat server. As I understand it the net effect of that allows people to create characters and run around in the original maps of the game without technically being able to "play" the game in the traditional sense of being able to enter combat or gain levels. Basically it's a huge graphical chat room using the shell of CoH to let people stand around and interact with each other. 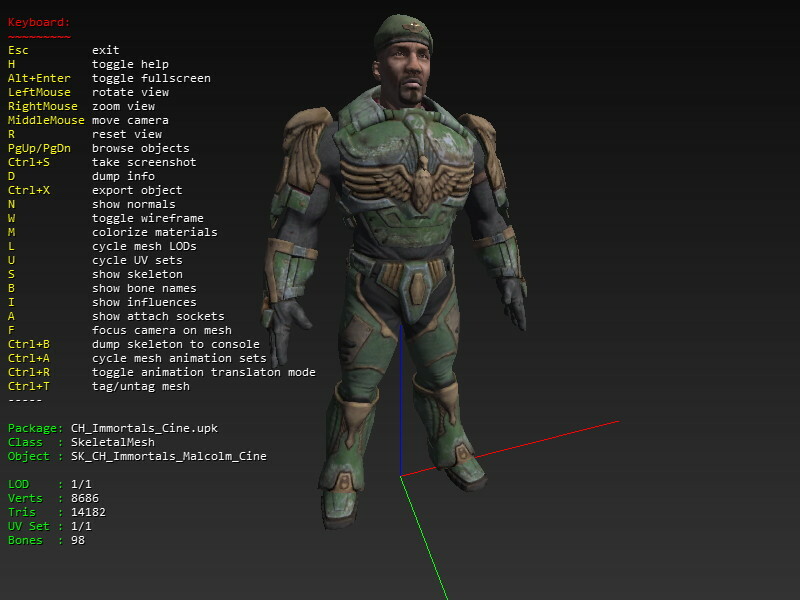 We already know that once MWM releases the "character creator" for the game we're basically getting a limited, incomplete version of the entire game client. At that point why couldn't the "game" allow us create a character and then let us run around in the world environment without the ability to have powers, enter combat or gain levels yet? It could remain extremely limited (just like Paragon Chat is now) but it would be better than a "locked room". From that point the Devs could open up the game bit-by-bit for further beta testing. This is an interesting point Lothic. I hadn’t considered it but it makes sense and is a natural first step in testing. I had always thought that delivering the avatar creator beforehand the way Final Fantasy XIV has done with their Benchmarks was the way to go. I never expected that the actual city would/could be available for us to explore. That is so much more! And from a marketing perspective, it should verily beget oodles of commentary from all the talking heads of video gamage. Furthermore, It will give us a chance to explore and familiarize ourselves with the city, its neighborhoods and even start associating some of the narrative lore to visual landmarks. I think this could truly work in your favor! Let's not get ahead of ourselves though. Dr Tyche didn't confirm anything. Better to not get our hopes up for that IMO. True enough - I'm usually a "I'll see it when I believe it" kind of person (Note: quote mangled for comic effect). Perhaps we won't be able to run around the entire city, but maybe there will be a few zones open to walk around in. Even that would be better than the "locked room" alternative. He implicitly promised! You can’t break an implicit promise! And by inference I accepted that promise and will hold him to it. I really hope this next big month update brings us some updated information for the 2nd Chance. Agreed. I have a much larger budget now than I did back then. Any news on the fabled Second Chance? That would be a negative. Only speculation at this point. Could be this year, could be next year, could be 2020. It will be after they do something "substantial" to show future investors. I would expect that to mean after the starter island/character creator/chat function is released. That's what i had in mind too and what i understood from everything i read. Based on everything that the Devs have said in the last few months I'm reasonably sure the Second Chance will not come "after" the Avatar Creator is released but will occur pretty much simultaneously. What better way to generate the most interest than to have it all happen at the same time. I will need a global time stamp on both though... unless its the exact same second UTC then 1 did come first! this shall be no chicken vs egg good sir! Appreciate all the responses muchly. Although I was around when CoH died and had been playing almost non stop since... I think it was 2009 (Defiant! ), when it all went down I was far too cynical to join in on any of the communities efforts to save the game (shame on me), or watch out for and keep track of any efforts to create a new game in the same genre. And just to rub extra salt in the wound, I was gutted to find out I'd missed a Kickstarter campaign for City of Titans. It would be a point of pride for me and the wife if we were both able to contribute to the creation of the new game that spiritually follows the old, so I'm really hoping we get to do that with the very aptly named "seCOnd cHance" (boom boom). Lastly... really really happy with the direction and features I see being baked into the game from the start. If waiting a bit longer gets a better and more future proof game... I'm all for that. Lord knows we've had our fair share of overhyped, underdeveloped and prematurely released games. So enough of that. Personally, I'm hoping that by the time I retire (long way away... I think?) we're all playing in fully immersive 3d worlds we interface with through surround visors and body suits. I don't think we have long to wait for the 2nd chance. That’s how I feel too. I’m trying not to get too overeager or jump the gun, but I’ve noticed a shift in tone from the devs that has been encouraging. I hate being the cynical one, but we haven't actually seen anything that would indicate a 2nd Chance fundraiser or, really, anything else this year. We're already in the last month of Q3 and the devs still haven't committed to a date. That makes sense if they aren't as close as everyone thinks. I'm sure they'd want more than a few weeks or months between announcing the release of the Chargen and actual release. I also find it hard to believe that they would do the 2nd Chance with only the Chargen ready. Not that the Chargen isn't a big deal...but for so many people that have never played a superhero mmo, they are going to want to see more than just a character creator. They are going to want to see the actual game world. All we have seen in the past are blueprints or square blue and green buildings. CoT hasn't showed any 'completed' parts of City of Titans. I imagine, like myself, they'll want to see footage of gameplay...fighting, travel powers, NPC interactions, the living world, etc, before donating. We don't have any of that. Before you tear me apart for not having faith, I am planning on donating during the 2nd Chance. I don't care for SoH or the other superhero games, but I do like that they've showed off their in-game world and ran through some missions, showed off their powers, etc. I think CoT will be the best, by more than a small margin, once it releases but the fact that we've seen so little, if any, of those things makes me believe we're not nearly as close as many believe. Before you tear me apart for not having faith, I am planning on donating during the 2nd Chance. I don't care for SoH or the other superhero games, but I do like that they've showed off their in-game world and ran through some missions, showed off their powers, etc. I think CoT will be the best, by more than a small margin, once it releases but the fact that we've seen so little, if any, of those things makes me believe we're not nearly as close as many believe. I still generally believe that MWM is "relatively close" to releasing both an initial beta version of the game (primarily highlighting the Avatar Builder and some in-game map areas but -not- combat powers or leveling mechanics) and the Second Chance which will be based on that beta version of the game. But I'm willing enough to play Devil's Advocate (surprise, surprise) and more or less agree with what you've said here. I've never been one to demand that the Devs of CoT waste huge amounts of time "showing" us their progress on the game. For example I never really bothered to completely watch all of the Twitch streams the Devs produced because they really don't help me, as a future player, understand how the game will work or even really what the finished product look like. Frankly they seemed more trouble to create than they were worth. But by the same token I'm still very interested in the overall progress being made with the game and would like to learn as much about it that'll actually be useful to me. I've never asked for much in this regard but we are supposedly at a point where getting a few more pics/vids would seem reasonable and reasonably simple to produce. Yea, that's kind of what I am talking about. None of the actual gameplay in that video looks anywhere close to releasable. Some of the travel powers seem pretty clunky (super jump and wall climb), no actual game world besides empty streets and buildings which, if I remember right, was a test area, UI in the chargen was still pre-beta...meaning it won't look anything like that by the time it gets to us, a lot of the footage was still using that base skeleton/robot looking figure, a lot of that footage was also in a world with only grey ground, and a lot of that footage is kind of old. While some of the powers looked cool, a lot still needed fine tuning, and those that were shown were maybe 3-5%, or less, of the total available power at launch? I'm not knocking any of that, either. Those are milestones in their progress that they had to go through to get a better result. What I am saying is they haven't shown us anything that would tell us they are further along to a point where we could expect anything soon. Especially with all the hiccups in integration they have had that has set them back so far, all the late updates, they obviously aren't ready. I will be happy to be proven wrong...I just don't think everyone should get excited about a 2018 release. Nothing you have said is unreasonable. I fully expect some people to not back with $ unless they see combat footage and maybe a world boss type event in a zone along with character creator mock ups from streamers etc. I'm not saying those people are right or wrong because it's their money and they can always choose when and how to spend it. But I will say that I hope people like that aren't assuming they are going to get to see "everything" by the time the Second Chance is up and running because it's very likely "everything" will not be ready to see by the time the Second Chance has come and gone already. There's always going to be an element of faith concerning CoT at least until it's actually released as a fully functional game. I fully expect to be blown away once they actually get to the point where they can do that. It just seems like so many people are getting excited about a big 2018 release. We have less than 4 months left in the year and we haven't really been shown anything to indicate a release this year. We haven't even seen the game world...I feel like that's normally what games show off for a while, a long while, during production before release. We've gotten a lot of mechanics information...but until we see those *actually* incorporated into gameplay they are just ideas as far as we, non-devs, are concerned. Again, not knocking CoT at all, I'm super excited for this game...just very wary about so many people expecting big things from them soon. Take this next update, for example, that has been delayed 2 weeks now. It required an entire week to get a female perspective. If we aren't getting actual gameplay footage, just stills/pics, then obviously the chargen isn't as far along as we thought since creating a female character in a close-to-finished chargen should take...minutes? maybe an hour? If there is video of a character running through a mission or something, and they wanted to duplicate the male video for the female perspective, even that seems like it shouldn't take more than a day to do if things are as close as everything thinks. The fact that it's taking two more weeks, in my opinion, shows the game isn't as far along we we hope. Once again, not knocking CoT at all...just pointing out some obvious things so people don't get their expectations set on a big release this year. Take this next update, for example, that has been delayed 2 weeks now. It required an entire week to get a female perspective. If we aren't getting actual gameplay footage, just stills/pics, then obviously the chargen isn't as far along as we thought since creating a female character in a close-to-finished chargen should take...minutes? maybe an hour? Again you've raised a fairly reasonable concern here. At this point one would think that the "working functionality" of the game should be pretty much equal when it comes simply swapping out the male body model for the female one.